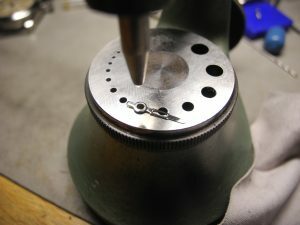 DUMET watches is also capable to make parts for watches. For instance: the hubs for the hands. 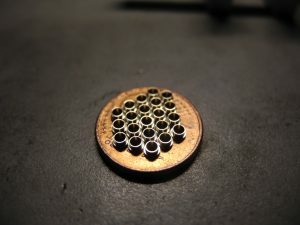 Should you need hubs for your watch project, contact DUMET watches, and we’ll work something out. 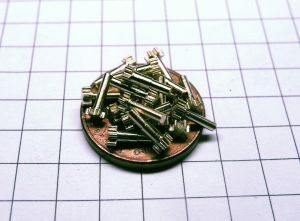 And any watchmaker can rivet hubs into hands with a staking tool. 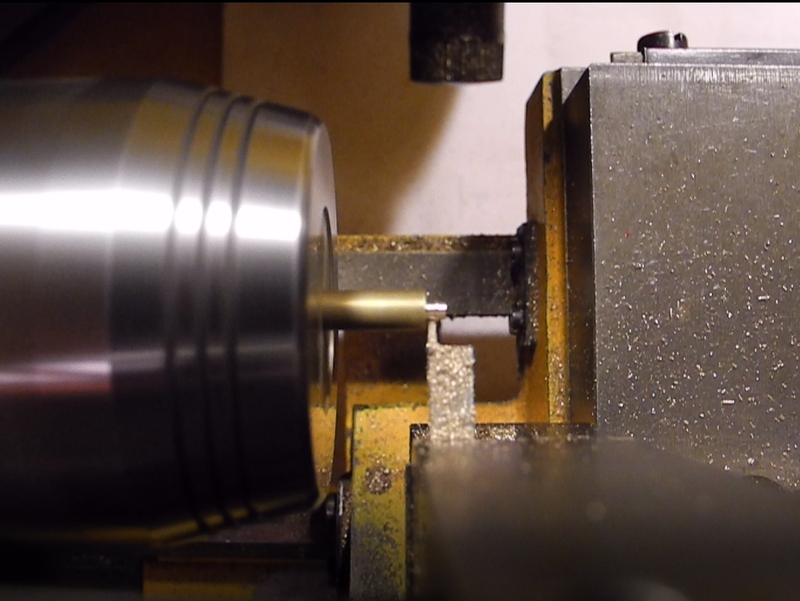 There’s also other parts DUMET can make, for instance this recently finished order for 20 stems for rotating bezels, with a 6 tooth gear. DUMET is constantly working on upgrading the machines, to be able to meet ever increasing accuracy and finish quality.